Camphor Oil is an essential oil extracted from Camphor Tree (Cinnamomum Camphora) by steam distillation. It is used in alternative medicine for its several therapeutic benefits. It is used as decongestant, anti-inflammatory, analgesic, antispasmodic, sedative, and local anesthetic. In modern medicine, it is also found in liniments and creams used for pain relief. Brown and yellow camphor oils are not used in medicines because they contain a substance called safrole. Safrole is a highly toxic and carcinogenic compound. However, white camphor oil also contains a small amount of safrole, but its level is not significant to cause any problem. White camphor oil is commonly used in medicines for its therapeutic benefits. Airways & Lungs: Camphor Oil dissolves thick mucus, clears respiratory tract and lungs, relieves congestion, and eases in breathing. However, it might not be suitable for people with non-productive coug or cough arising from the throat irritation. Heart & Blood Vessels: It acts as cardiac stimulant and inotropic. It stimulates cardiac muscles and improves speed and force of muscle contraction. It also stimulates blood circulation. On the skin, it dilates blood vessels. Digestive Health: It causes excessive salivation, reduces thirst, increases the secretion of gastric juices, and relieves gas. In excess, it causes nausea, vomiting and loss of interest in eating. Kidney & Urinary Bladder: It stimulates kidneys and induces diuresis. Reproductive System: In low dosage, it acts as aphrodisiac and stimulant and improves libido. In high dosage, it reduces libido. It also reduces the secretion of milk in lactating mothers. Skin: It induces soothing and cool sensation, improves circulation, and dilates blood vessels. Camphor essential Oil has following healing properties. 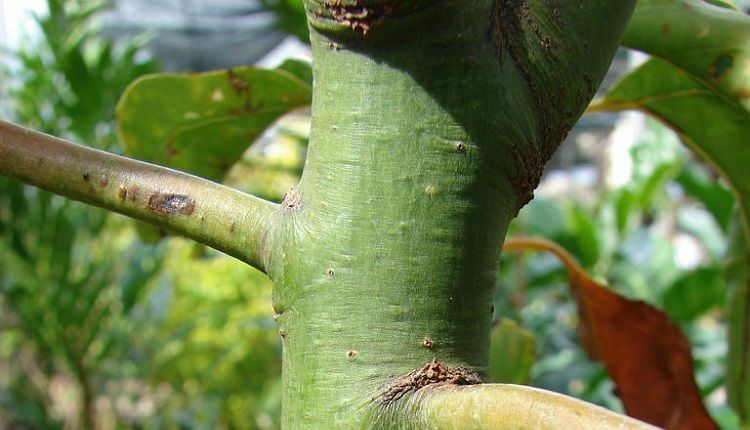 In the following health conditions, diluted Camphor Oil can be used for local application. Undiluted camphor oil should not be used, and it should not exceed 11% in analgesic liniments, creams, or ointments. In lotions, its quantity should not exceed 1%. Camphor Oil mainly used to reduce inflammation, pain, stiffness and excess mucus discharge in respiratory diseases or infections. Therefore, it is beneficial in pain disorders including arthritic pain, rheumatism, and muscular pain. For its expectorant and decongestant properties, it is used to treat cough, colds, flu and bronchitis. It is a major constituent of balms, cold rubs, liniments and creams used to alleviates local pain, stiffness, inflammation and swelling. It blocks sensory nerves on the skin and alleviates pain sensations. In respiratory diseases, camphor oil is used in vapor therapy to clear the lungs and ease breathing. Vapor therapy with camphor essential oil can also help to boost blood circulation, calm mind, and strengthen heart. It is also a main constituent of decongestant balms used for alleviating inflammation and reducing blockage of nasal tract, bronchi and lungs. The most of such medicines are applied on the chest. Camphor oil or camphor is a main ingredient of many pain relieving balms, creams, liniments and ointments. It acts as a counter-irritant and rubefacient. First, it produces a feeling of warmth by increasing blood flow. Then it exerts a soothing action and produces coolness. Ultimately, it relieves pain. For this purpose, it is used along with other ingredients including base (paraffin or beeswax), menthol, clove oil, mint oil, cajuput essential oil, cassia oil, cinnamon oil, peppermint oil, eucalyptus oil, gaultheria fragrantissima oil, etc. A famous Tiger Balm also contains camphor as a chief ingredient. 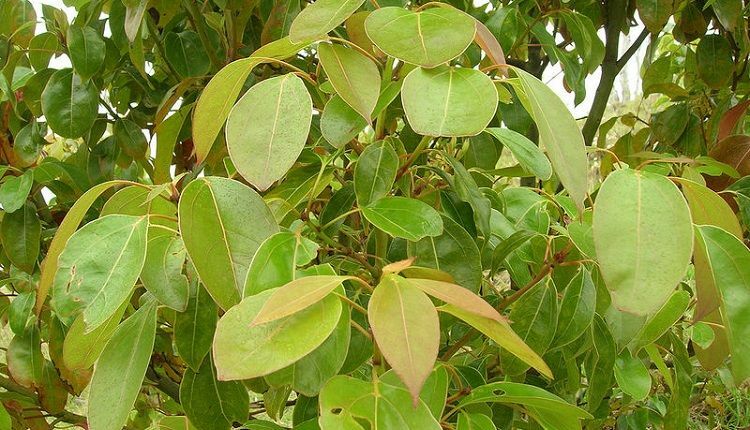 Camphor essential oil has antispasmodic action, which helps to relieve spasms and cramps. In abdominal spasm or cramps, it is mixed in castor oil and applied on the abdomen. A circular clockwise massage with this oil mixture is highly beneficial to relieving abdominal spasm. For muscular spasms in the back, legs, arm or neck, it should be mixed in olive oil, sesame oil, or mustard oil instead of castor oil. The aroma of Camphor essential oil acts as decongestant. Decongestant balms containing camphor can be used for relieving nasal congestion. Camphor oil has anti-bacterial, anti-fungal, disinfectant and soothing action. It is added in several lotions and ointments for its these therapeutic benefits. It alleviates skin irritation and reduces pruritus (severe itching). It acts on sensory nerves and exerts local anesthetic and analgesic action. It also produces a soothing sensation, which helps to relieve these symptoms. If patient has burning sensation in the skin, itching, irritation, scaly patches on skin and swelling, it can be used mixing in coconut oil in ratio of 100:1. Regular application of coconut camphor oil helps relieving all these symptoms. In nail fungus, a mixture of Camphor essential oil, oregano oil and tea tree oil can help to get rid of nail fungus. These three essential oils have potent antifungal properties, and these can be used in the following ratio. Apply the mixture of these three oils on the affected nails 3 to 5 times a day. The treatment course may vary from 10 to 12 weeks. Some patients may also require its regular application for a longer duration. Camphor oil along with Frankincense essential oil, Turmeric essential Oil and almond oil helps to reduce burn scars. The following mixture of oils can lighten the scar marks. The above mixture should be applied on the affected skin 3 to 4 times a day for at least 3 months. However, camphor essential oil is rarely used in aromatherapy due to its neurotoxic nature. The unwise use can also cause convulsions, especially in people with history of convulsions or epilepsy. Camphor essential oil should always be used along with a base. Coconut oil is the best suitable base for it. The mixing ratio should be 100:1. One can apply this mixture onto the skin and scalp. It reduces itching, dandruff, burning and skin irritation. According to health condition, one can also add other essential oils in this mixture in quantity of 1 to 3 ml. Camphor oil is not added in any medicine used for oral consumption. However, processed camphor (also called Shuddha Karpur) is added in a very low amount in some formulations used in traditional medicine. The amount added in formulations varies from 1 to 5 mg of processed camphor. This amount does not produce any side effects when used for a short period (less than 4 weeks). We consider oral intake of Camphor Oil is POSSIBLY UNSAFE. Camphor essential oil is not purified in traditional way. Therefore, it might cause adverse effects even in minimal dosage. For local application, it should be added in a base (e.g. coconut oil). Pure essential oil of camphor can cause skin irritation when applied without a base, especially in people with sensitive skin. Death: In excess dosage (above 2 grams), it can be lethal. Pure Camphor oil should not be rubbed directly onto the skin. However, coconut oil can be used as its base and ratio of mixing should be 100:1 (coconut oil 100 ml + Camphor Oil 1 ml). I want article on ayurvedic supplements for pregnant female for healthy,brainy,fair child,please.